Australia chose a rather round about, and dangerous way, of getting to the finals of the FIFA World Cup. Qualifying by playing a South or Central American opponent has its pitfalls, the most memorable being Argentina at the Allianz Stadium in 1993. On that occasion, the valiant Australians went down, if only just, losing the return leg in Buenos Aires after drawing in Sydney. The Honduran side could not boast players of the ilk of Argentina, but they did have the element of anonymity and surprise. Their coach, Jorge Luis Pinto, was in a conservative frame of mind, attempting to asphyxiate play in the middle of the park. The hostilities at San Pedro Sula would also have benefited. As matters transpired, the Australians managed to hold their own in the first away leg. With Honduras failing to squeeze anything into the Australian net at home, it was left to the Socceroos to do the rest in Australia, scoring three times, twice from penalties. Luck was finally on the side of a team scolded and berated for stretches of the campaign. Their previous encounter with an unfancied Syria drew barbs of criticism. But after 22 games played over 29 months, Australia had booked its place in the 2018 World Cup in Russia, a point that took time to settle among the seventy thousand in attendance. Australian coach, Ange Postecoglou. Last month, a swirling question mark hovered over his future. Was his head on the chopping block? Had he, in fact, put it there himself? Australian fortune could be contrasted with violent sharpness of the fate of Italy. To not see the Azzurri reach the World Cup or the first time since 1958 was seismic, even unsettling. Not that Australian fans would have minded. Many still remember the encounter in round 16 of the 2006 World Cup, when Australia’s Lucas Neill tripped Italy’s Fabio Grosso in the Fritz Walter Stadium in Kaiserslautern. The resulting penalty was the only goal scored in the match. Italy would go on to win their fourth World Cup. Australian fans were less forgiving about the showmanship: Grosso, so went the line, had cheated. Before the spectators of the San Siro in Milan, Sweden managed to hold the Italians to a scoreless draw, winning by an aggregate of one goal over both legs. The Swedish side had effectively done what so many Italian sides have done before: defend their way to victory. La Gazetta dello Sport went so far as to term the failure “the apocalypse”. The most immediate consequence was the fate of Italy’s coach, Gian Piero Ventura, who seemed fairly phlegmatic about the axeman. It was certainly an effort that prompted questions. At home, the Italians could only muster a one all draw against Macedonia. In UEFA World Cup qualifying Group G, it finished five points behind group winners Spain, pitting them against the Swedes. Ventura did not have long to wait for his fate. Rather brutally, the note goes on to mention the “first order of business” with finality: “from today onwards, Gian Piero Ventura is no longer coach of the national team.” Ventura’s initial reluctance to resign, rather than face the sack, seemed to have been prompted by false hope, if not a total lack of awareness. Oddly enough, his counterpart in Australia will not necessarily be faring much better. Postecoglou has never felt supported in his role in Australian football, and has his eye on an international football club. Australian football, he feels, has yet to discover self-respect. Sweden’s Janne Andersson, in contrast, will be merrily preparing for their campaign in Russia. For football boffins of a slightly superstitious bent, the occasion of Sweden’s most successful World Cup was the very same tournament Italy failed to qualify for: 1958. 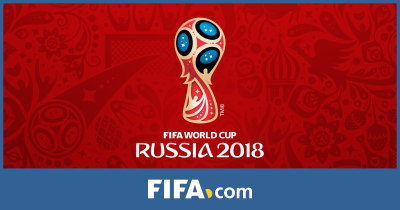 Featured image is from FIFA.com.